No2Hazing™ is a customized program designed around a one hour online, interactive course educating students on hazing with an emphasis on teaching them to identify, prevent, and report hazing. A variety of course content was gathered through a focus group composed of current and recently graduated college athletes, organization/club members as well as past fraternity chapter founders representing a wide range of experiences. The online course is designed to meet your organization’s needs with trackable results. The program also includes an assigned advisor to meet on a regular basis with your organization’s leaders to truly integrate current events into the program. Leading speakers on hazing are also available to fully execute the program. No2Hazing™ offers a complete program like no other fully tailored to meet each organization’s needs. The No2Bullying™ program covers serious topics such as peer pressure, cyber bullying, violence and more in a one hour online, interactive course. The course goal is to raise awareness of bullying, it’s consequences and prevention to ensure a SaferCampusLife™ for all students especially in K-12. 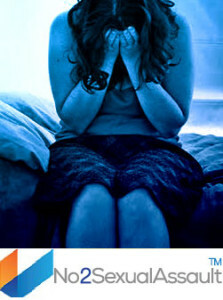 No2Bullying™ is interactive and eye opening for many. The course is customized to fit your organization’s policies and procedures as well as the applicable laws. Also, it is designed to meet your organization’s needs with trackable and reportable results. Leading speakers/celebrities are also available to fully execute the program. No2Bullying™ offers a broad scope of education on bullying. Click here for more information. The No2SexualAssault™ program covers serious topics such as sexual assault, dating violence, or stalking in a one hour online, interactive course. The course promotes creating and maintaining a SaferCampusLife™ environment in which all students are treated with respect and human dignity. The course is customized to fit your organization’s policies and procedures as well as the applicable laws. This course is designed to meet your organization’s needs with trackable and reportable results. The program does include an assigned advisor to meet on a regular basis with your organization’s leaders to truly integrate current events into the program. Leading speakers on sexual assault are also available to fully execute the program. No2SexualAssualt™ offers a comprehensive program like no other fully customized to meet each organization’s needs. The No2SubstanceAbuse™ program is designed to educate students on the addictive quality of many substances including alcohol, tobacco and other drugs. The course covers the harmful effects on the body, strategies to remain drug free despite pressure from peers and society, as well as how to make healthy choices. The poisonous chemicals found in drugs along with their addictive nature will be covered. The short and long-terms effects of substances on the body will be explored in addition to the life time effects. Strategies to remain drug free will be discussed. The course is customized to fit your organization’s policies and procedures as well as the applicable laws and consequences. It is also designed to meet your organization’s needs with trackable and reportable results. The program also includes an assigned advisor to meet on a regular basis with your organization’s leaders to truly integrate new events into the program. Leading speakers on substance abuse are also available. 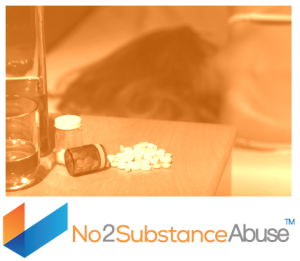 No2SubstanceAbuse™ offers a comprehensive program like no other fully customized to meet each organization’s needs. To learn more about our programs please contact us.